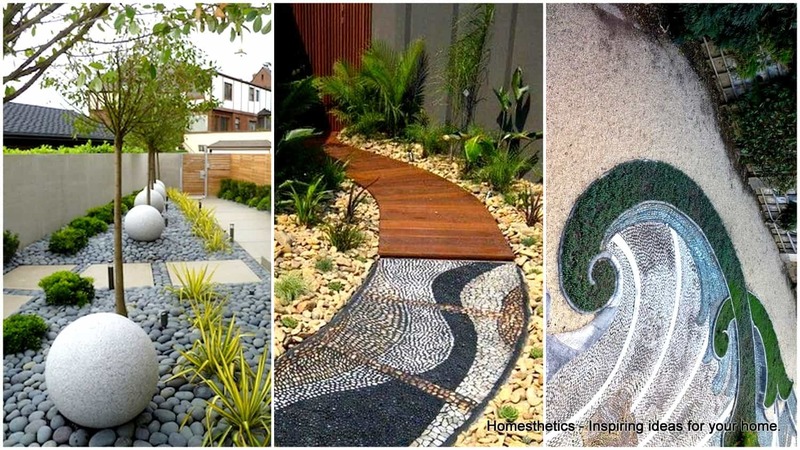 21 Incredible Pebble Landscapes That Will Enhance Your Yard | Homesthetics - Inspiring ideas for your home. 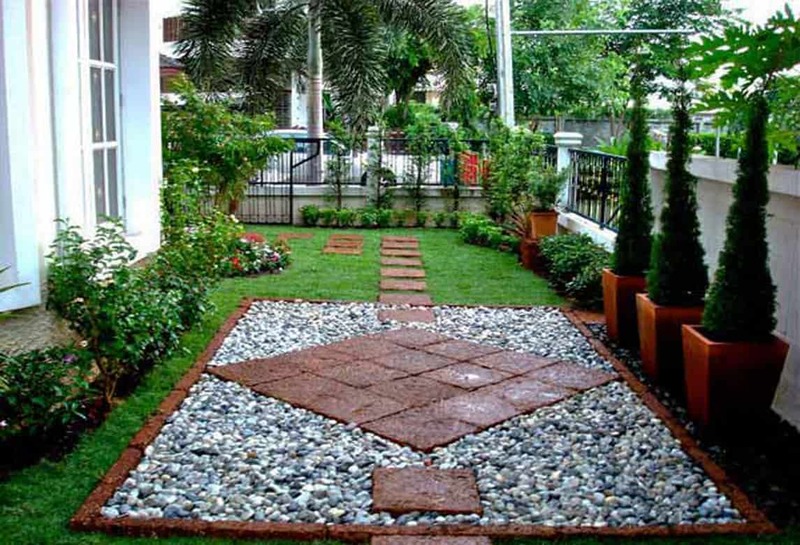 Creating beautiful landscape in the yard is a must if you want to enjoy your outdoor area during every season and if you are wondering what to use to enhance its beauty, one could suggest pebbles. 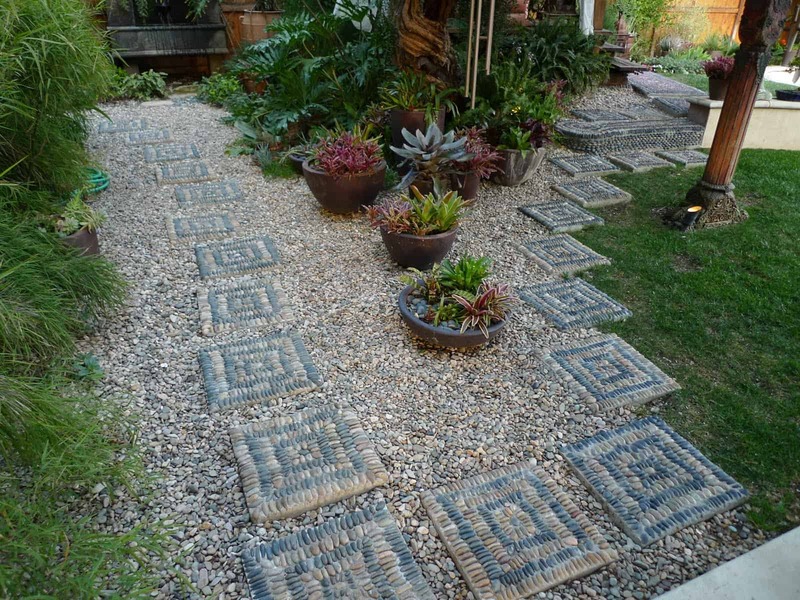 They are easy to find and easy to work with. 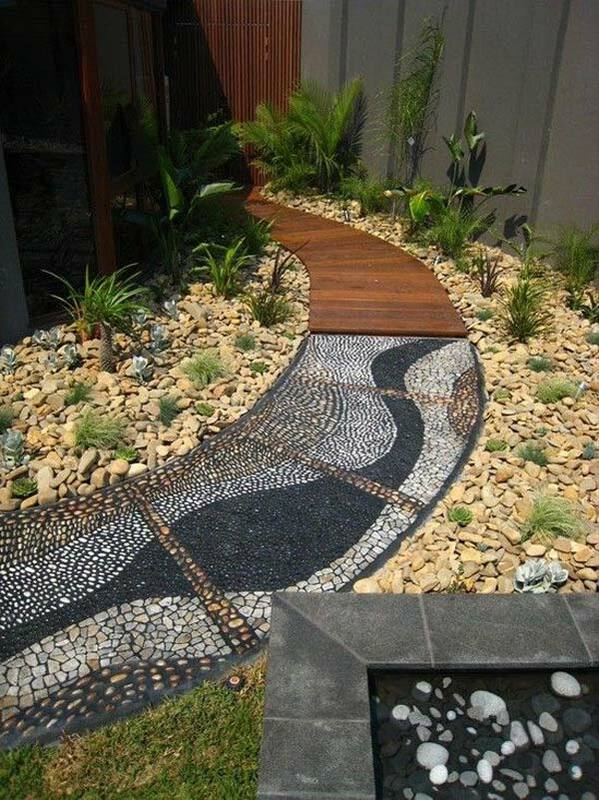 Pebbles are not difficult to maintain either, so there’s nothing that stops you from incorporating them in your yard. 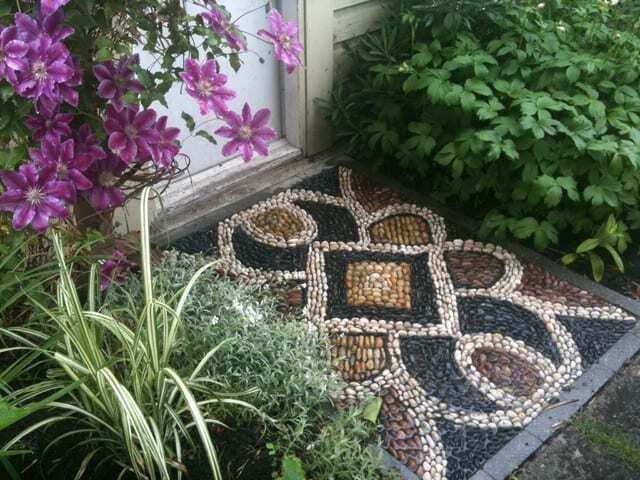 You can create some eye-catching designs and patterns in no time, sometimes with little to no costs and lately properties featuring such designs are consider appealing as their curb appeal depicts often a beautiful and cared for property. 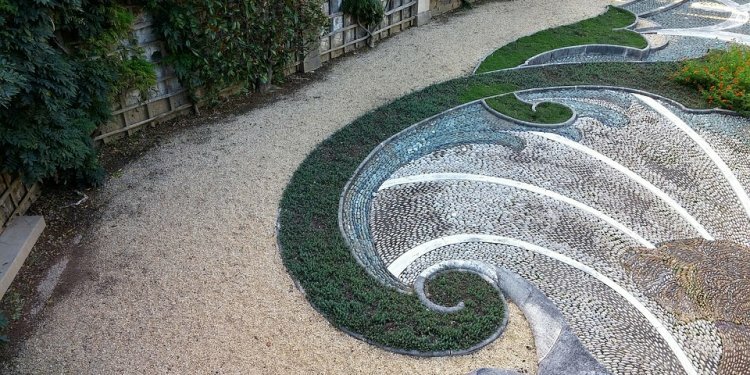 Scroll down through the photos and see the Incredible Pebble Landscapes That Will Enhance Your Yard. 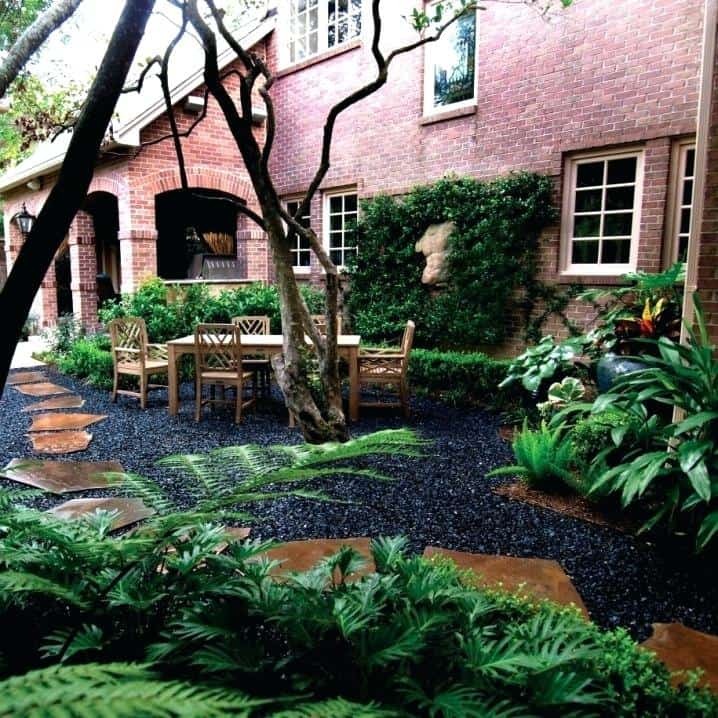 You can find them in an abundance of designs, shapes, colors and sizes and you can create some pretty interesting looks! 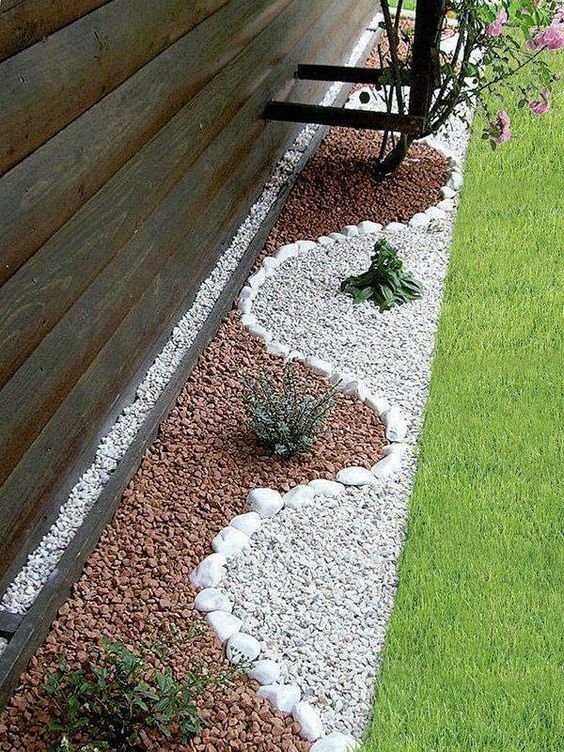 The greatest benefit of pebbles is that they are made completely of inorganic matter and they can’t decompose and attract insects. 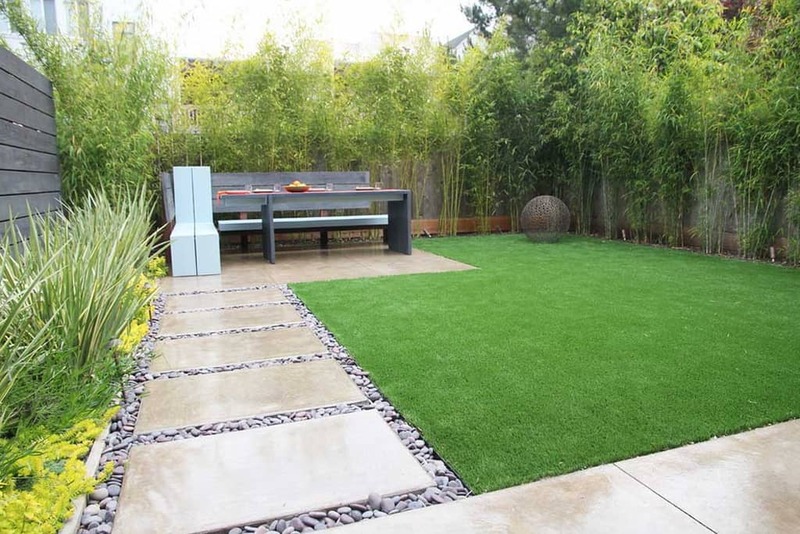 They are also super durable and can go from season to season with ease. 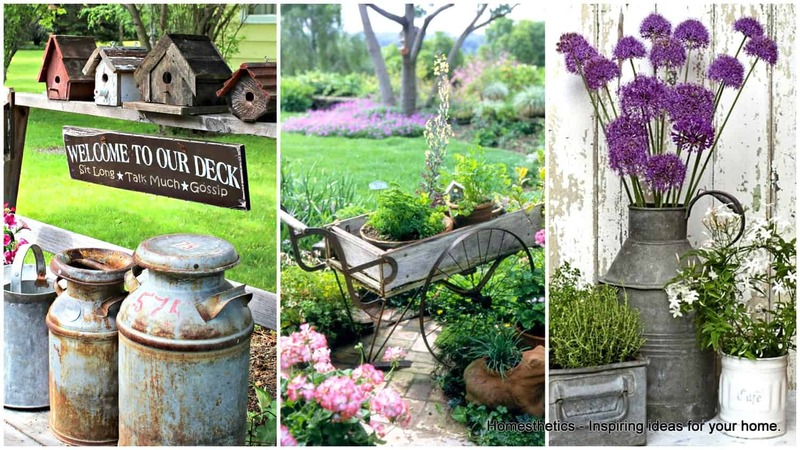 You won’t have to change anything about their look! 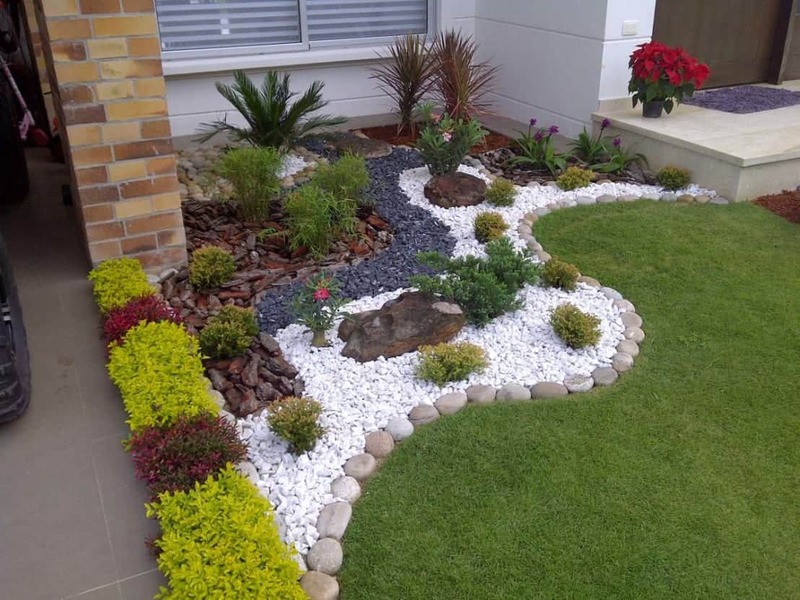 If you are having drains or other things that are an eyesore and don’t look beautiful in the yard, then use pebbles to hide them away. 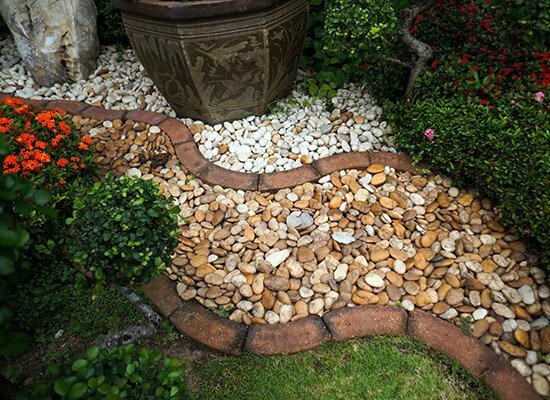 Pebbles and stones can give your backyard area a quick makeover that won’t cost you lots of money as well. 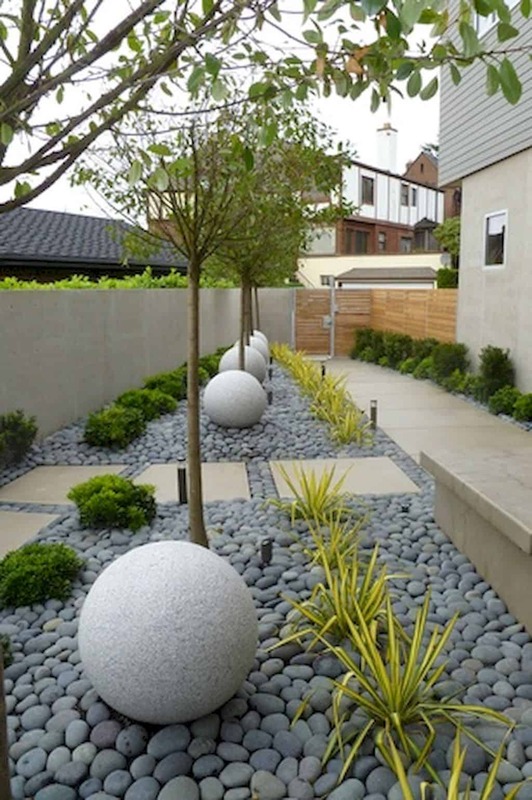 Pebbles are the perfect way to hide the ugly tree roots and bases. 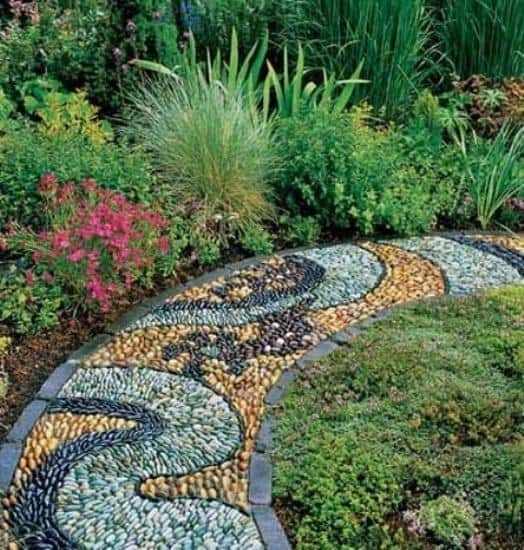 The colored pebbles will transform the look of your yard completely. 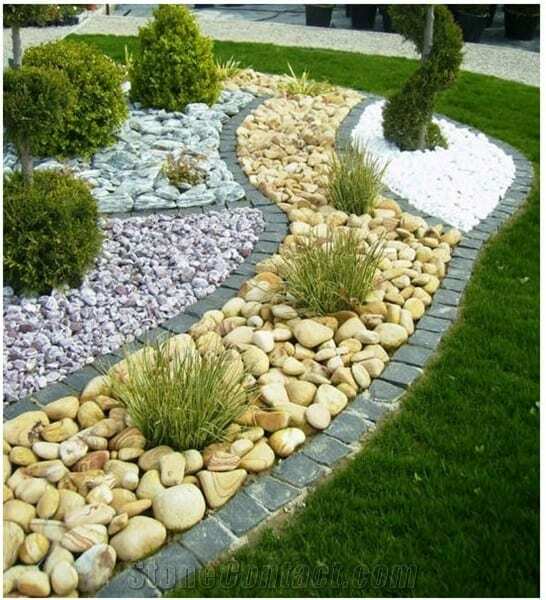 Use your creativity and imagination and use different colors of pebbles to make some outstanding patters that will give your yard a contrast and will make it more visually appealing. 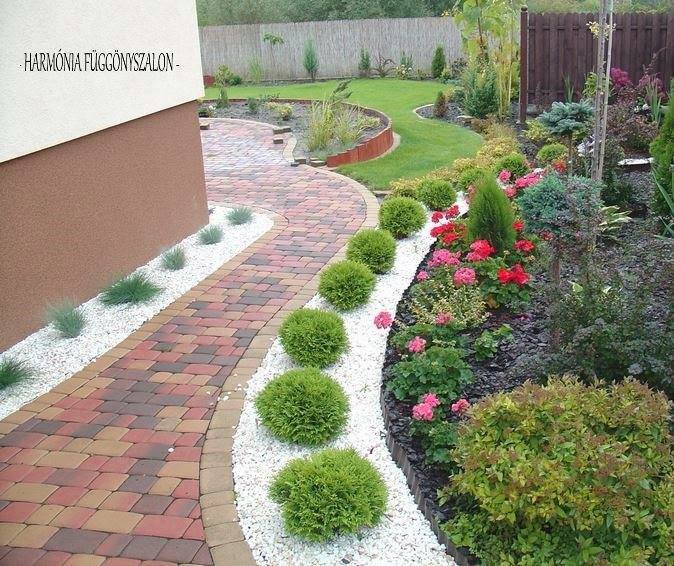 Everyone who passes by your house would love to stop and stare for a while and enjoy the amazing landscape! 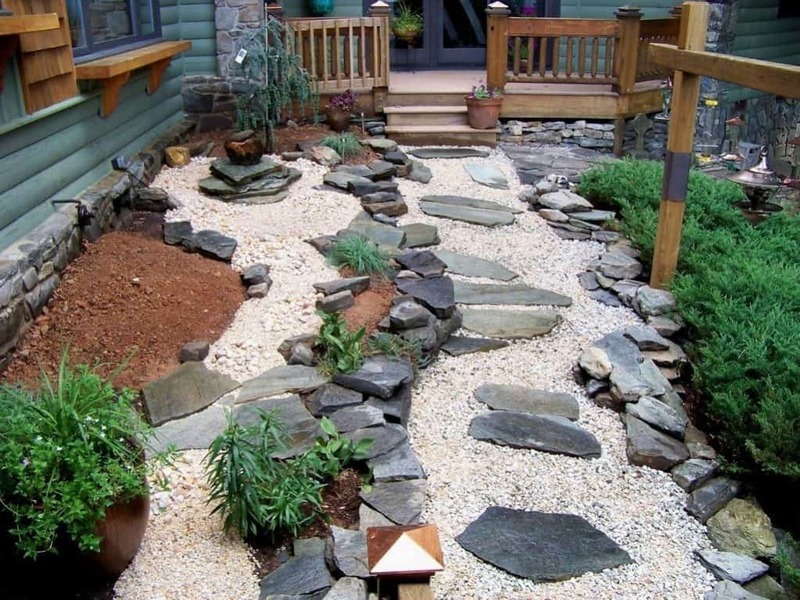 By adding pebbles your yard will get a more peaceful and relaxed scenery. 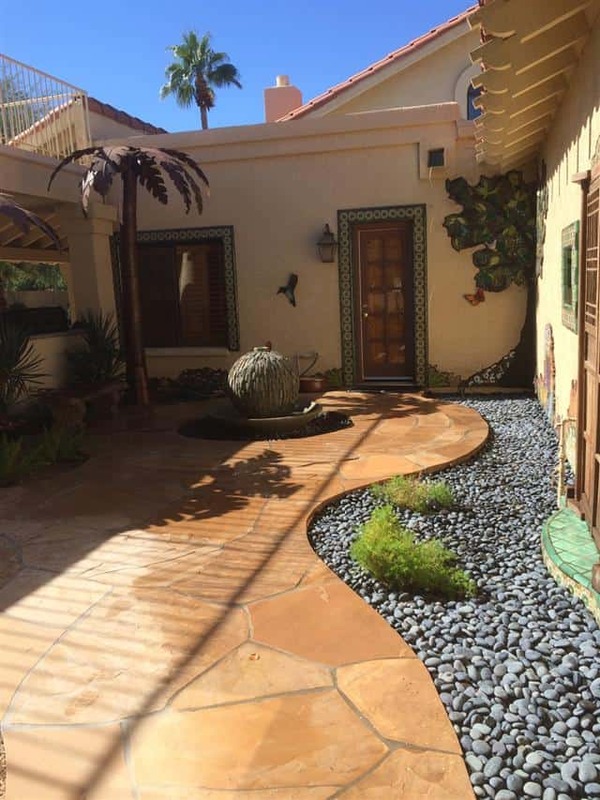 It will looked more polished too and taken care of in a pretty good way. 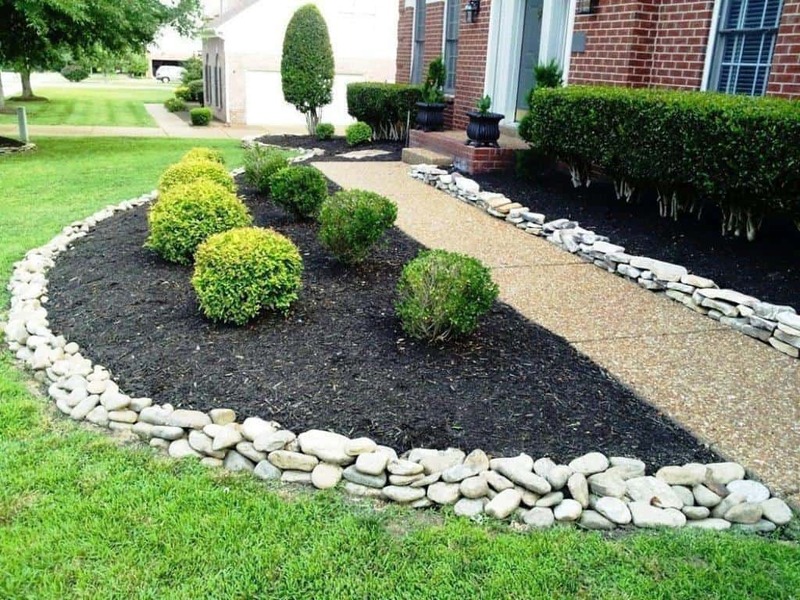 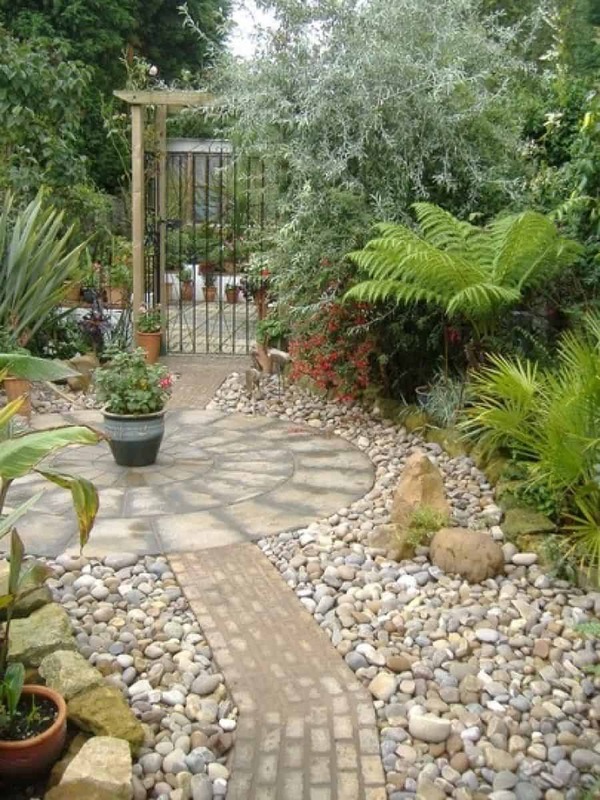 Are you looking forward to adding pebbles and stones in your yard? 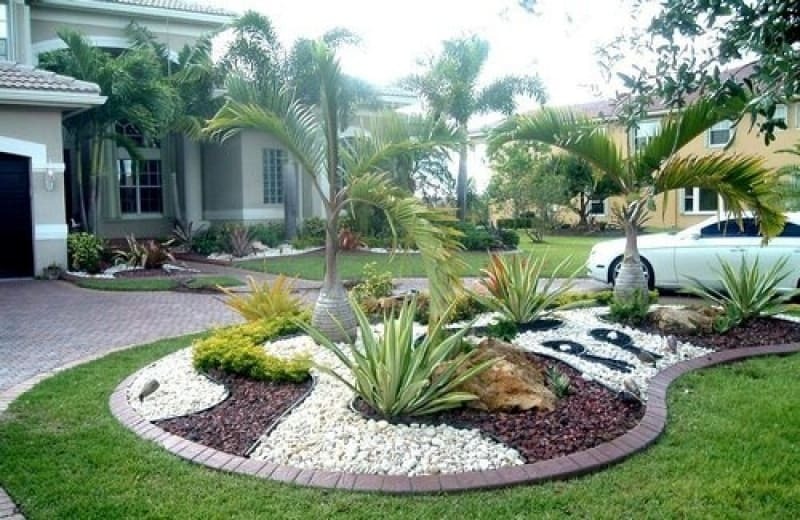 Have we inspired you with these awesome pebble landscapes? 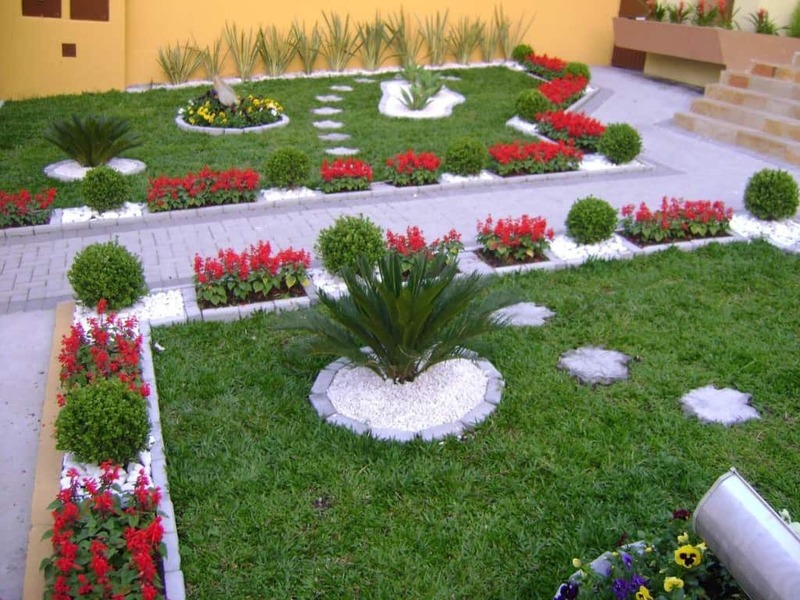 I hope that we did, and that you are going to turn your yard into oasis. 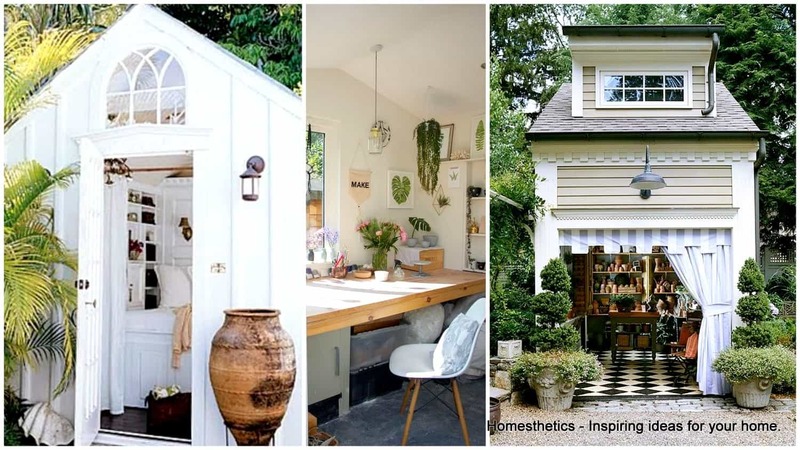 Stay tuned for more inspiration to decorate your living areas in the best possible ways!